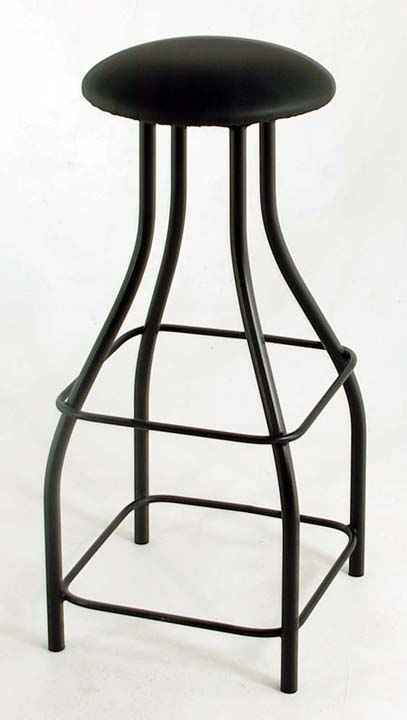 Backless, swivel bar stool, from sturdy heavy-gauge steel tubing. Available with upholstered or solid hardwood seat. Choice of metal finishes and fabric. Non-Marring foot glides. 15" Diameter Seat Size (14" on wood version). Available in 3 heights.